Fabrics are manufactured from various raw materials which are available from nature or artificially generated. These textile articles are produces in all countries of the planet and are very popular on the international market. Fabrics are used in different industries, such as: design, construction, medicine, fashion, etc. Sell fabrics on Export Portal, the largest and the most secure eCommerce web page for trade deals and constant profit. Buy fabrics on Export Portal, experience the best shopping practices directly from your home computer. Fabrics can be classified based on the origin of fibers and its processes or its end usage. - Natural fabrics are those which are created from the fibers of animals coats, the cocoons of silkworms, and plants seeds, leaves and stems. It is breathable and never cause rashes apart from being soft and durable. Natural fabric is the best choice for everyone. It does not change color from UV light and there is no warming until the material looses its tensile strength. - Synthetic or man-made fabrics are made from fibers which are either completely made from inorganic materials or organic materials combined with products of the chemical or allied industries. 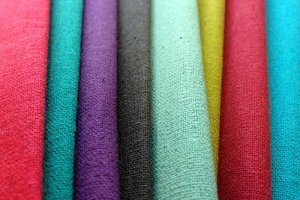 Synthetic fabrics have numerous properties with the purpose for which it is produced and finished. Some are lightweight with ultra sheer while others are moisture wicking and fast drying. Few are very luxurious to imitate some other natural fabrics and some are very strong and tough. Our website privides a large gamma of natural and synthetic fabrics from certified sellers and manufacturers. Some of them are: cotton, linen, wool, leather, ramie, hemp, jute, chiffon, acrylic fabrics, silk, organza, lastex, nylon, velvet, polyester, taffeta, denim fabric, rayon fabric, spandex, georgette fabric, viscose fabric, etc. Trade for the best textiles and textile articles on our secure and profitable web page. Export Portal is your internet source of all you need for making your business visible on international level. Join our eCommerce web site right now and benefit from a large number of products for a reasonable price. Build up strong and constant B2B relations and expand your business worldwide.